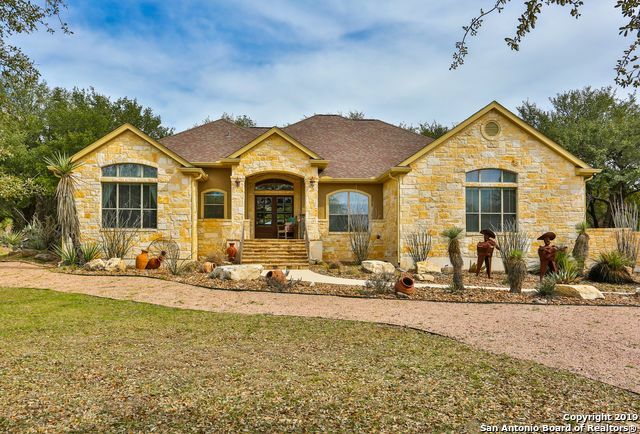 All MEADOW SPRINGS ESTATES homes currently listed for sale in Boerne as of 04/26/2019 are shown below. You can change the search criteria at any time by pressing the 'Change Search' button below. 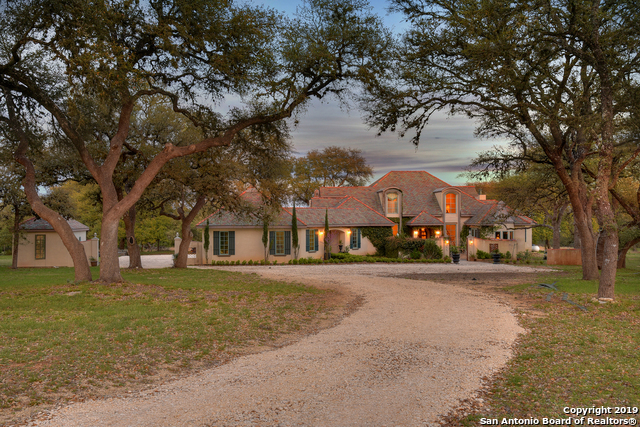 "Custom, built with love, country french, 3 bed/4 bath home in Meadow Springs Estates. No details were spared, full of antique treasures in every corner. It features several great entertaining areas such as 3 living rooms, 2 eating spaces plus an eat-in-kitchen, a fun bar and an amazing studio. Charming and spacious outside kitchen in lovely pergola, with the most amazing views and vast openness of the Hill Country. Over sized suites perfect for either kids or adults. A must see with over 5 acres"
"This exceptional 3 acre gated-estate boasts a custom-built Main house, a resort style pool with hot tub & waterfall and newly built guesthouse! The main house is a luxurious 4 bedroom, 2 1/2 bath home with a large open concept kitchen, living, dining arrangement. The private guest house features luxury amenities any guests could ever want, with a kitchen, fireplace in living room, bedroom with large full bath & extra loft. AND as if that wasn't enough, there is a water well & full RV hookups!"